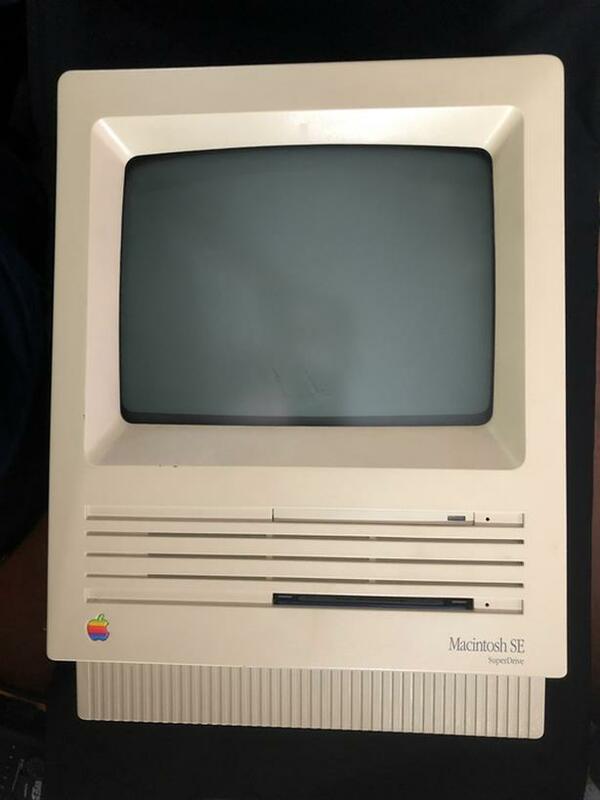 "The Apple Macintosh SE FDHD features an 8 MHz 68000 processor, 1 MB of RAM, and either a 20 MB or 40 MB hard drive in a compact all-in-one case with a 9" monochrome display. I've owned this Mac for over 10 years, and have loved it since the moment I got it. It is such fun. Over the years the few floppy disks I had for it, are long dead and gone, but the computer still lives and is a fun, living piece of history. The keyboard and mouse are fully operational and the computer works great (for a Mac from 1989). You can find more info about this model on the EveryMac website by searching the model number in their search engine. I have been offered up to $500 for this package, but that was when I still had an immense love for it and at that time I politely declined. Many of this same model sell used online for upwards of $500. Not pictured is the original 3-prong power cable, which is included with the bundle. I am only selling this as I no longer use it and have run out of places to store it. $350 OBO, open to reasonable offers.